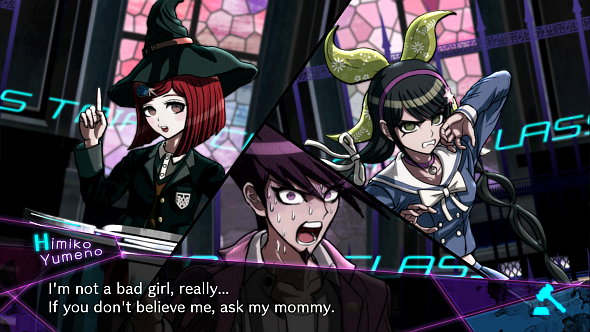 Danganronpa is a series of visual novel mystery games by Japanese devs Spike Chunsoft. They’re published in the West by NIS America, who have just advised “streamers, influencers, and media” that they face video takedowns if they ignore the devs’ guidelines for coverage of the franchise’s latest entry. Fall into a story with one of the best adventure games on PC. The word ‘threat’ is an inflammatory one, but that’s basically what this is, and it’s drawn a mixed response in the replies. While some are content to respect the devs’ wishes, others interpret this as an attack on the streaming community, comparing the threat with Atlus’s attempt to set similar limitations on streaming PlayStation 4 exclusive, Persona 5, earlier in the year. Thanks to the backlash, Atlus eventually relented over Persona 5, relaxing their guidelines such that they permitted over 80% of the game to be streamed. This debate will run and run. Few dispute that, as controllers of their own product, it’s up to publishers and developers to distribute early copies however they wish. But is it right that, having done so, they should continue to dictate terms?